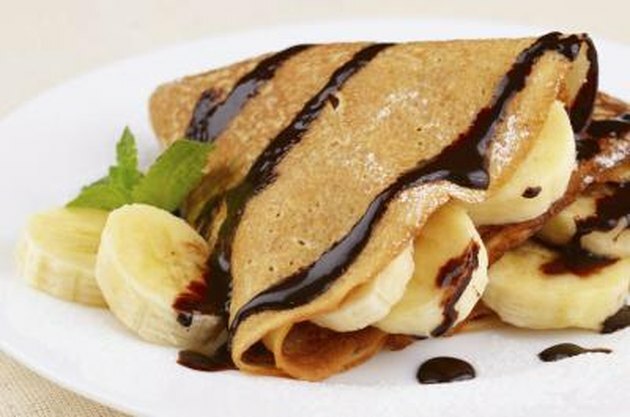 From crepes to fritters, a variety of pancakes find their way to dining tables around the world. Evolving from their humble beginning of simply flour and water, today's pancakes look and taste more like delicious works of art, boasting ingredients such as dark chocolate, shaved lemon and ricotta cheese. While commercial pancake syrup commonly tops many pancakes, natural toppings can help turn the ordinary flapjack into a mouth-watering masterpiece. 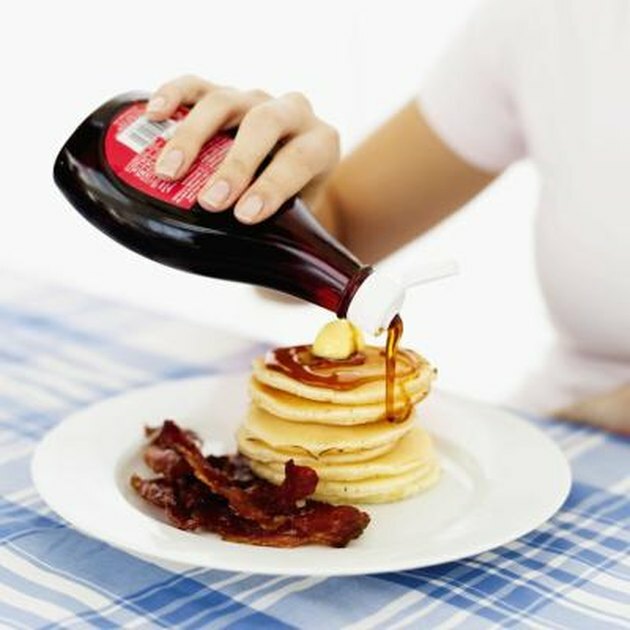 Much of the pancake syrup found in grocery stores contains high-fructose corn syrup, water, artificial colors -- which can cause allergic reactions in sensitive individuals -- and flavors. The American Heart Association recommends restricting the number of calories from added sugars to no more than 100 per day for women and 150 for men. Added sugar contributes to weight gain, high triglyceride levels and a predisposition for diabetes. A fourth-cup serving of pancake syrup can add 210 calories, most of them from sugar. Fruit and fruit juices add moisture, nutrition and natural flavor to a serving of pancakes. Fruit toppings can include fresh, raw berries, including strawberries and blueberries, but stewed fruit, such as peaches, pears, apples and cherries, also pair well with hot pancakes. To make a nutritious fruit syrup, add chopped fruit to 1 cup of water and boil until the water is reduced by about half and the mixture thickens. 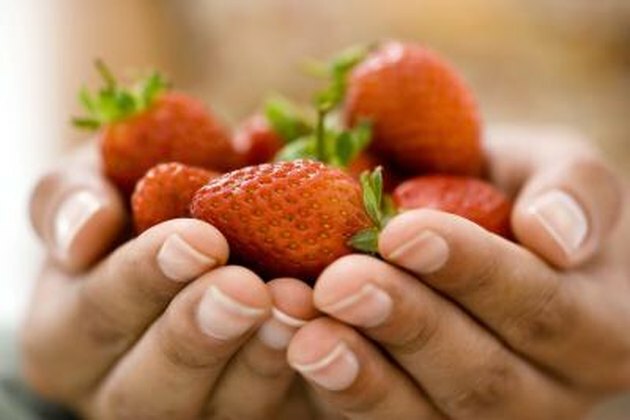 For extra sweetness, add up to one-fourth cup granulated sugar to the fruit before boiling. Unsweetened fruit syrup contains between 50 and 80 calories per cup; a fourth-cup of sugar adds 190 calories. 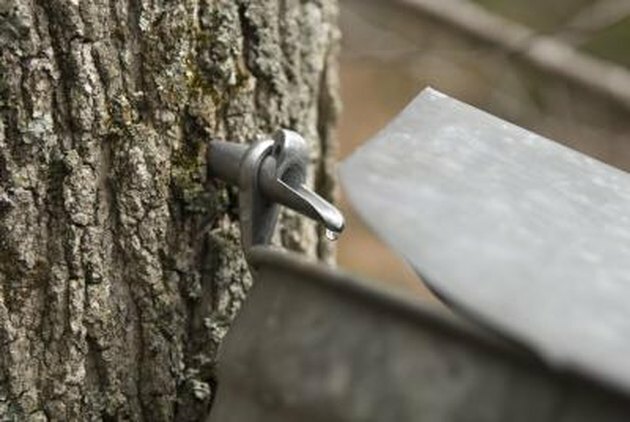 Pure maple syrup comes from tapping the sap of the maple tree. Flaunting no artificial ingredients, this natural syrup reigns supreme as the most commonly used natural pancake syrup. Similar to commercial pancake syrup, natural maple syrup contains about 205 calories per one-fourth cup serving, but contains beneficial nutrients without artificial flavorings or colorings. With about 250 calories per fourth-cup serving, pure honey contains no artificial ingredients and adds sweetness, moisture and a variety of nutrients, including potassium, calcium and phosphorus. Pure corn syrup contains no artificial ingredients but contains a similar number of calories and nutrients to commercial, artificially flavored syrup. Topping pancakes with natural peanut butter or melted, flavored butter adds taste, but few or no carbs. 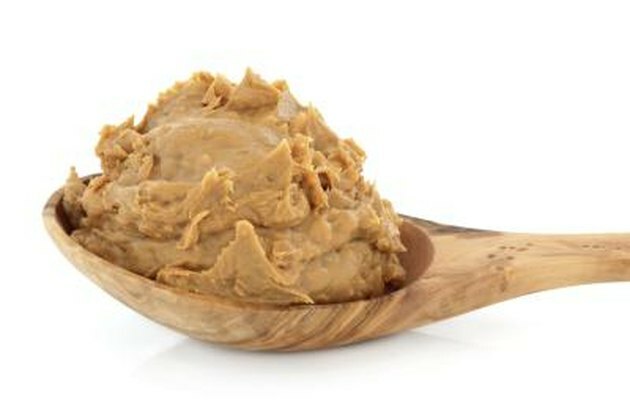 Peanut butter is low in sugar and adds protein and vitamins, while butter that has been whipped with cinnamon, cardamom or ginger lends a creamy, spicy flavor with little added sugar. Natural yogurt, cream cheese, whipped cream and sweetened sour cream add nutrients such as calcium and vitamin D to pancakes without adding unnecessary sugar or artificial ingredients. Avoid frozen non-dairy toppings or canned whipped cream that contain artificial ingredients. Sprinkling pancakes with a tablespoon powdered sugar adds just 10 calories, while dusting flapjacks with a tablespoon of granulated sugar and cinnamon adds 48 calories. You can also try cinnamon powder on its own, or sweetened cocoa powder.